Held at the Vancouver Convention Centre on the shared traditional territory of the Musqueam, Squamish, and Tsleil-Waututh peoples, this year’s Roundup brought together more than 6,660 delegates, including governments, leaders, investors, and suppliers from 49 countries, to discuss industry trends and opportunities for collaboration in B.C. and globally. The 2019 theme of “Elements for Discovery” was reflected in the breadth of speakers and sessions showcasing successes and innovations, and looking ahead to the industry’s role in our shared low-carbon economy. AME’s Roundup conference will return to the Vancouver Convention Centre under the sails of Canada Place from January 27-30, 2020. 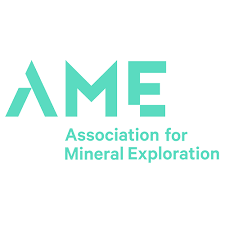 To stay up-to-date on conference details visit roundup.amebc.ca or follow @AME_BC on Twitter with the hashtag #AMERoundup, @Association.for.Mineral.Exploration on Facebook, and @bcminex on Instagram.